Though LendingTree has been planning to move its headquarters from Ballantyne to SouthPark for nearly two years, it appears like the company is growing too fast to fit there. The mortgage shopping company now says they’re looking at other options. Atop the list: the historic Cone Mill in Pineville. Image and map via Google. –The Cone Mill dates back to 1890 and was instrumental in the town of Pineville’s development. It operated until 1970, and the town bought it in 2015. It’s fallen on hard times in recent years. 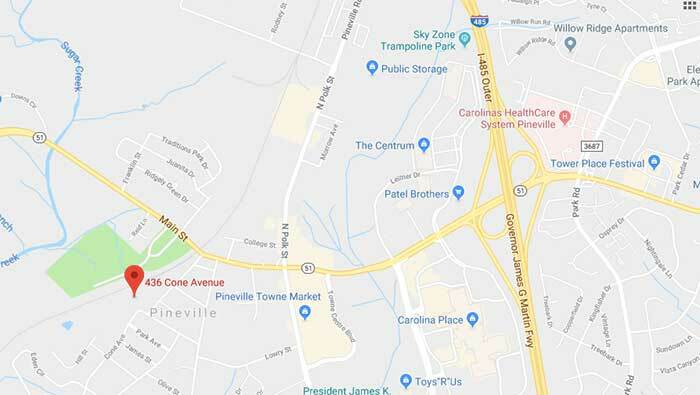 –Pineville is looking for a private developer to take the 30-acre property and transform it into a “catalytic” commercial and residential redevelopment. Former textile towns across the state (see: Kannapolis) are trying similar things. 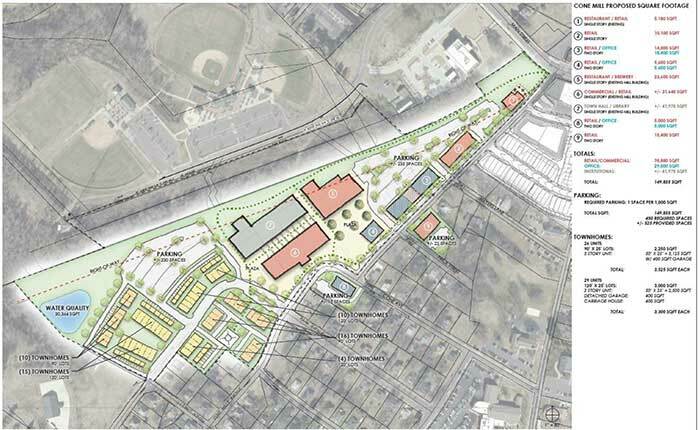 The town wants office/retail space, green space, 55 townhomes and potentially a library or new town hall. Plans by ColeJenest & Stone. 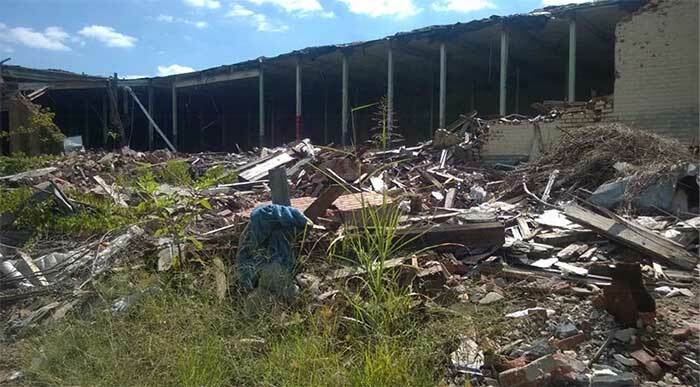 While most of Charlotte’s suburban towns are booming, Pineville has to some extent been left behind. 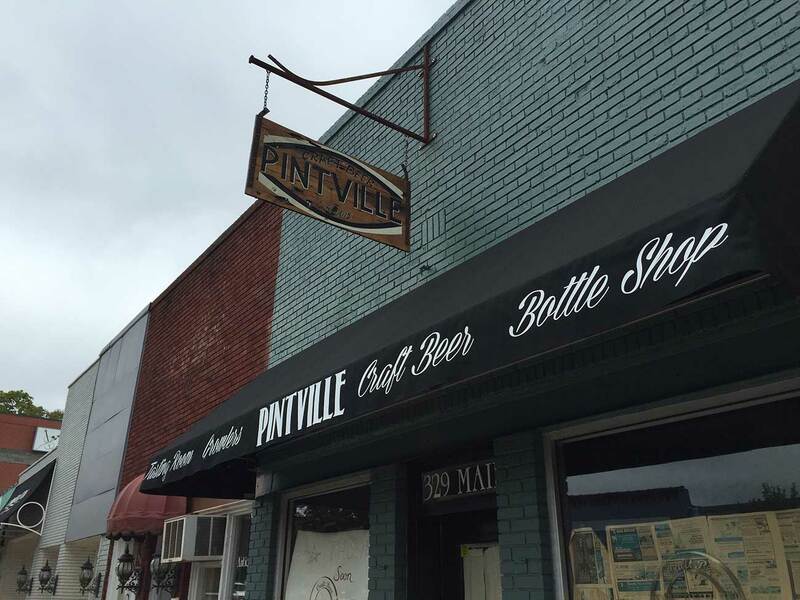 At $35,000, Pineville has by far the lowest median income of the 16 neighboring towns. The downtown area has had some activity with the addition of Pintville, Kit’s Trackside Crafts, Anders & Ruff Workshop and Global Restaurant, but it remains sleepy and underutilized — mainly because there’s little housing near there. Adding LendingTree could change everything and drive a ton of new investment along Main Street. 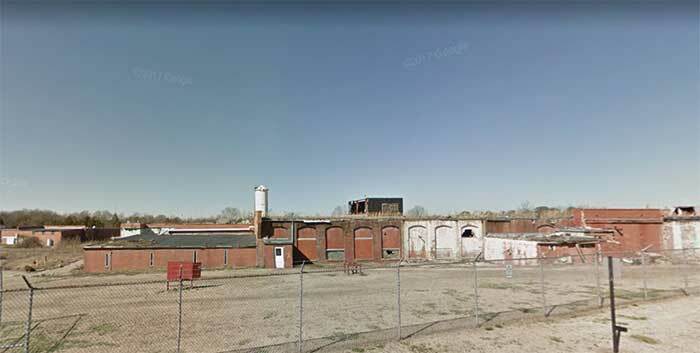 There would be some risk in becoming a company town yet again — remember the mill experience — but this headquarters could bring Pineville roaring into the next stage of its development. 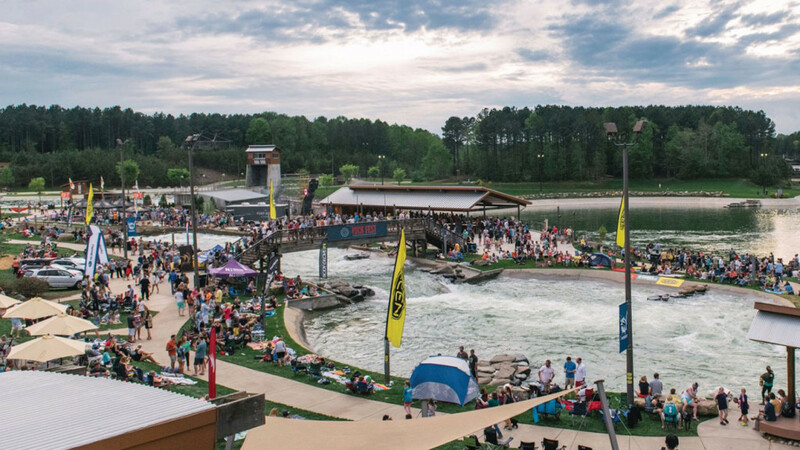 40,000 people are expected to attend this weekend’s Tuck Fest at the Whitewater Center. Here’s what to know.